This solution helps in finding content faster by searching across libraries and across adobe stock. Import color swatches and color groups, save color themes from libraries. Enabling the user to draw shapes with loose, natural gestures that transform into perfect geometric shapes and then combine, delete, fill and transform these shapes to create beautiful, complex designs that stay fully editable. With new live Shapes like Ellipses, Polygons and Lines, the solution provides the user more of the illustrator shape tools, so it enables them to quickly craft vector shapes without applying effects or using other tools. This solution enables the users to use comp CC to explore layout possibilities on their iPhone as well as on their iPad. Assets in computer can be linked so when the user edits them in illustrator or on another creative cloud desktop app, it instantly gets and update of the same. Get all the drawing tools you need to turn simple shapes and colours into sophisticated logos, icons and graphics. Illustrator artwork is vector-based, so it can scale down for mobile screens and up to billboard size — and always look crisp and beautiful. Select assets from your artboards and export them to multiple sizes, resolutions and formats with one click. Design with SVG OpenType fonts that include multiple colours, gradients and transparencies. Create up to a thousand artboards on your canvas and select multiple artboards at one time to move, resize and more. Q. 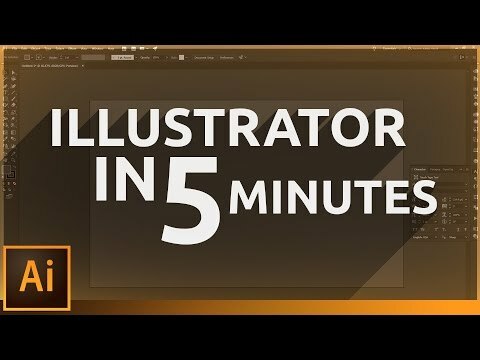 How do I download and install Illustrator? You can download Illustrator from the Creative Cloud apps catalog. You'll need to sign in with your Adobe ID and password to complete the download. For more information, including how to install older versions or check for updates, see Download and install Creative Cloud apps. Q. Why won't Illustrator install? Q. Can I install Illustrator on another computer?